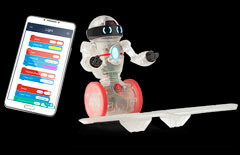 Coder MiP is the new, programmable version of the world’s favourite balancing robot. 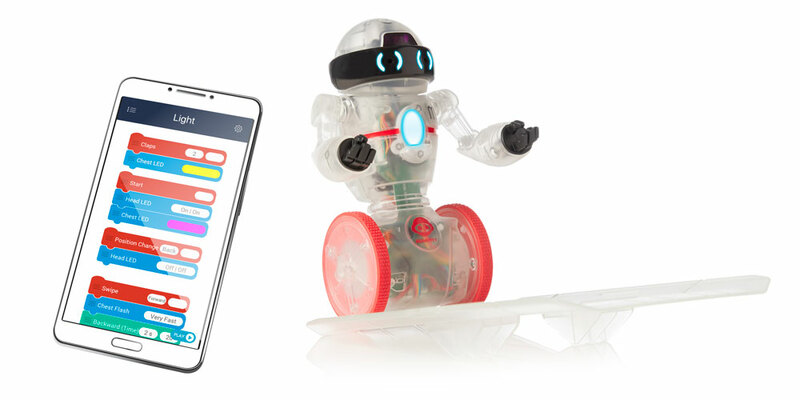 Control your robot's actions and reactions with simple drag-and-drop commands, using the brand new app on your BLE tablet or smartphone. 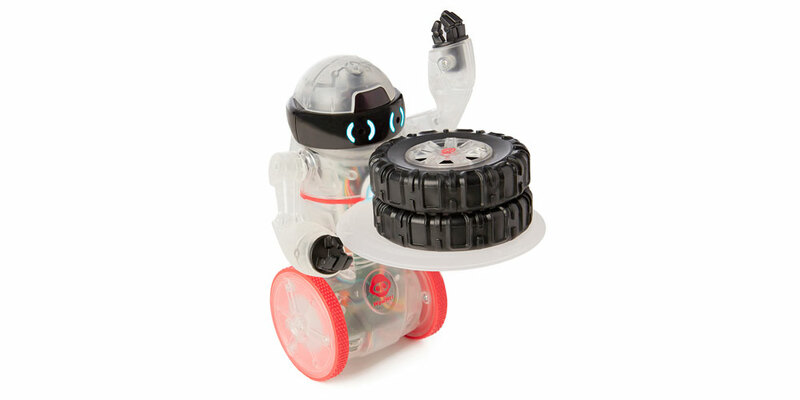 Play fun games and drive Coder MiP over his ramp while he balances multiple items on his tray. 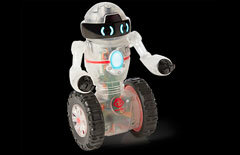 Coder MiP communicates through motion, sounds, and LED lights in his eyes and chest. 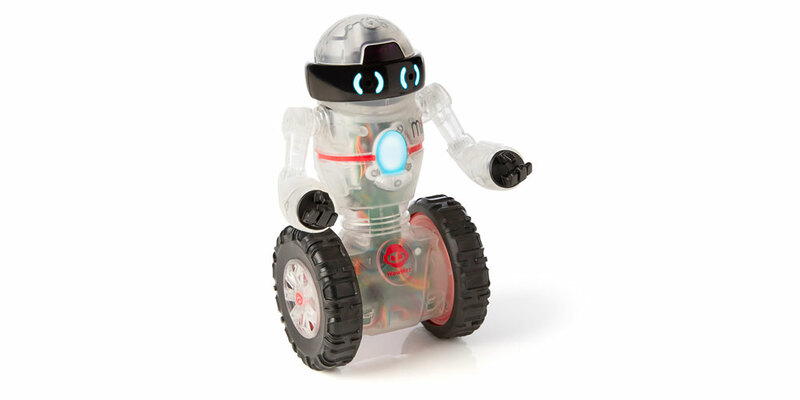 His sensors allow him to navigate his surroundings and respond to hand gestures. 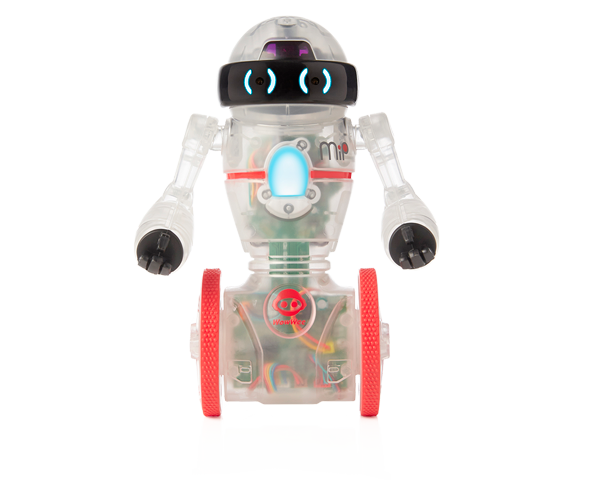 Create your perfect robot side-kick: Customize Coder MiP’s reactions to different inputs such a clapping, hand gestures, and pokes. You can also make him dance or play games with him using the brand new app.  Coder MiP's app is coming soon for iOS and Android BLE devices. Check your device compatibility before you buy. 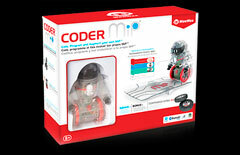 Coder MiP provides a fun, hands-on approach to learning about robotics. 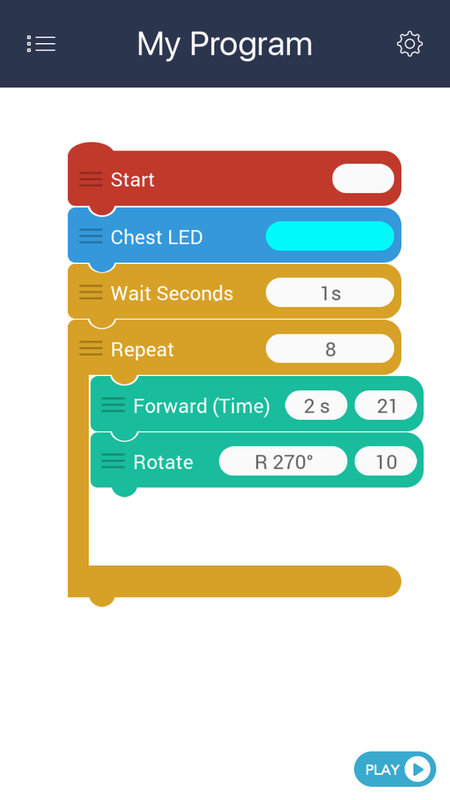 Use block-based programming to bring your Coder MiP to life. 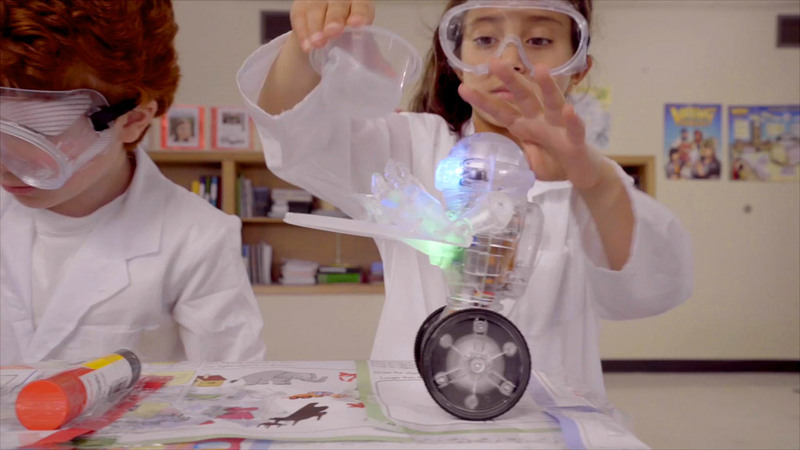 Program your robot's actions and reactions. 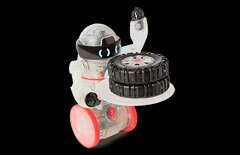 All-terrain wheels help Coder MiP explore. 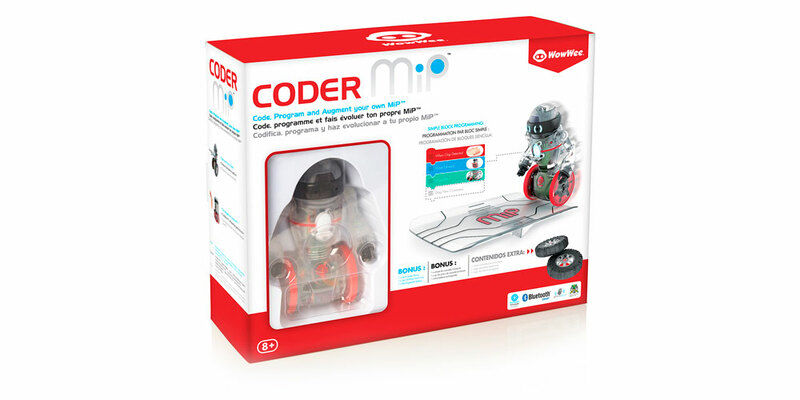 If Coder MiP™ does not power on after installing the battery, ensure that the battery is fully charged, and/or try reinstalling the rechargeable battery pack, ensuring that there are no gaps between the battery pack and Coder MiP™. 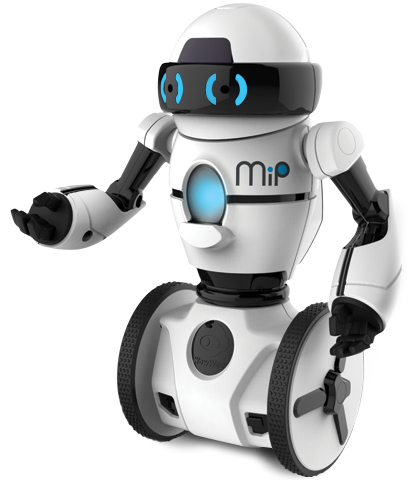 Like Coder MiP, Have you seen MiP? 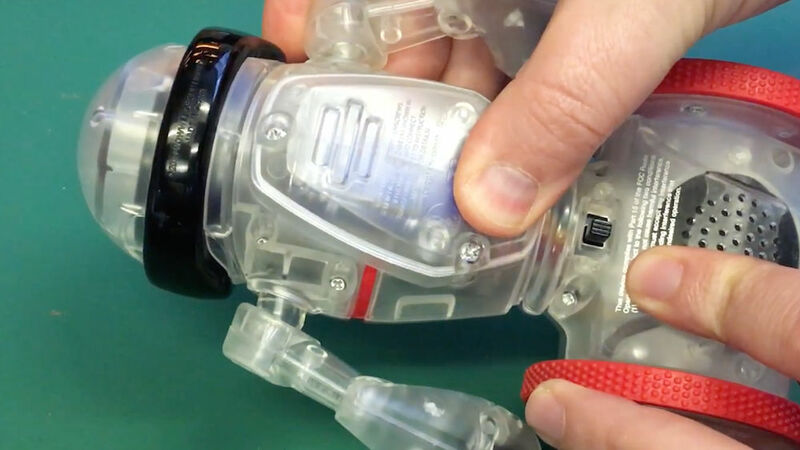 Winner of the TOTY 2015 Innovative Toy of the Year, MiP packs a ton of gameplay into a tiny package. In addition to 7 built-in play modes, download the free iOS or Android™ MiP app to unleash even more!